I love giving books as gifts. Yes even if you have an I-Pad, Kindle or Nook, there is still a place for a good book. I give books as baby gifts, birthday gifts and of course Christmas gifts. I am going to do a few blog posts over the next couple weeks on my favorite books to give as gifts. The first category is cookbooks. Even with all of the online recipe resources and blogs there is still a place for a good cookbook. These are the four cookbooks I gave as Christmas gifts this year. Most were purchased on Amazon and a couple of the photos are from there. I started following The Farm Chicks around the time the internet was invented it seems. It was indeed a long time ago. I love The Farm Chick’s country, shabby chic, flea market flare. Their cookbook looked to have that same style and is sure not to disappoint. I bought this cook book (written by both Farm Chicks, Serena and Teri but now there is only one active Farm Chick, Serena) for my sister and a friend but failed to buy it for myself. Thankfully my birthday is in a week! Ree Drummond has taken the blogging, cooking, homeschooling, photographing mommy world by storm. I have blogged often about my love for her recipes. The reason I gave this cookbook as a gift this year as a gift is that it truly is a weekly part of my life. If my friends and family cook from it, they will be sharing a part of my life because I cook from it every week! It has a permanent home on my kitchen counter. I have never had a recipe fail of Pioneer Woman’s. 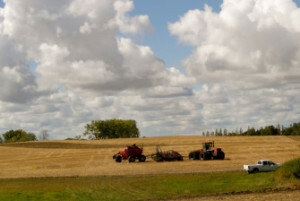 Her ingredients are easy to find which is critical in rural areas like ours and I love recipes with plenty of pictures. 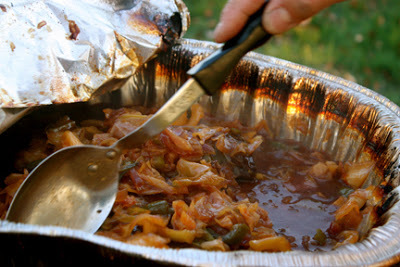 There is nothing earth shattering about the recipes but they fit my need to feed my family style. Every recipe to something I can tackle and doesn’t overwhelm me. And most importantly, every recipe is a success making me the hero to the big eaters in my home…a hungry hard working husband and a 6’2″, 170 lb. growing like a weed teenager. I first saw Trisha Yearwood sing live in the early 1990’s at the Chester Fritz Auditorium in Grand Forks, North Dakota. Then I saw her on stage with Garth Brooks (ahem…when he was still married but the sparks were clearly there) in the mid-1990’s. During that time I was a Georgia girl. I have loved Trisha’s voice and her music for decades. I also had a stint as a Georgia girl at the University of Georgia. I returned to North Dakota for family reasons but a slice of me will always have a little Georgia in me. I love Georgia, the culture, the cooking and of course The University of Georgia Bulldawgs. 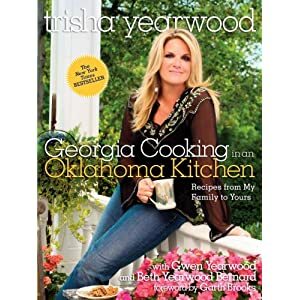 Miss Yearwood (as Garth calls her) put her heart and soul into this cookbook and truly is a superb cook. I gave it to my mom for Christmas because she loves Trisha as much as me and she gave me the opportunity to be a Georgia girl. Now also I need this cookbook for my birthday gift next week so I can cook like a Georgia girl. This cookbook caught my eye in a Scandinavian specialty store. Yes we have these type of stores on the prairie. Dr. Lori, my sister-in-law, despite her German Russian heritage loves Scandinavian design and I knew she would love this Scandinavian cookbook as it is a modern, fresh and updated cookbook. 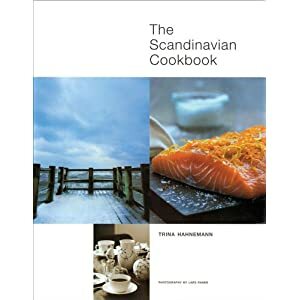 This cookbook is not the old traditional Scandinavian recipes I was raised on but makes me want to go visit my friend Linda in Norway, Sunna and family and more friends in Iceland and visit Sweden and Denmark. I loved the photography, the fresh recipes and numerous fish recipes. Dr. Lori will be giving us an update on how the cookbook fares for her soon I am sure. I have many other favorite cookbooks such as the local church cookbooks I grew up with and a superb Worthington, MN cookbook called Mixing and Musings given by my 105 year old Great Aunt Iris. Do you give cookbooks as gifts? What are your favorite cookbooks? Please do share. I need to add to my collection. I also love giving cookbooks as gifts. Our local North Bay Dairy Women’s group just put together a cookbook with many of the members submitting recipes…I just bought three of them to give out. I love the recipes in them because many of them have been in ranching families for generations. Oh I love cookbooks. The Scandinavian one especially looked fun. I have wanted to get the first one and the second one you featured too. Oh I think I know what I will be asking for for my birthday!!! I can’t wait to see your other books you enjoy. Take care.